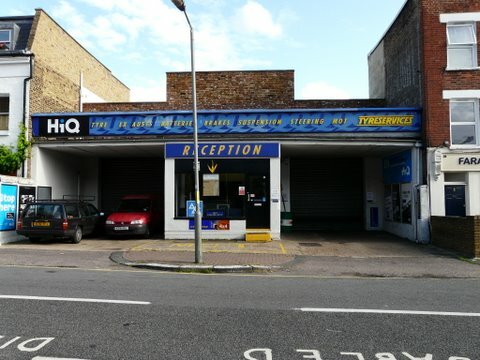 I have used HiQ Tyre services for many years and if it closes I shall have to look for other facilities farther afield. This is a very popular local service. 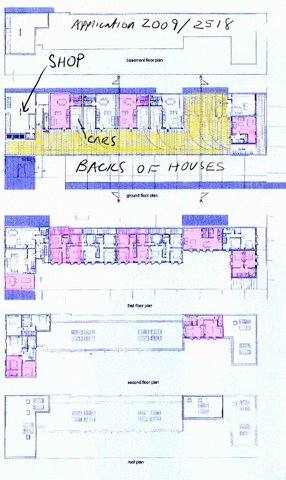 I also obect to the principle of cramming additional residential space into every available plot in the Northcote area. We will gradually squeeze out the commercial premises wich make this such a varied and rewarding area to live in. There has already been a huge inroad on the mixed domestic shopping premises that are available. It will be another great loss to the community to lose HQ tyre Services for yet another ‘infill’ project in this area. Offering 4 garages to the site will take 4 cars off roadside parking but with the number of houses being proposed by the developers there is potential for far more than 3 cars parking on our streets which will no doubt bounce into Bramfield Road etc. We were assured by the Council when another development off Chatham Road was built that garages would be provided for the five houses built and that the occupiers cars would be kept in them. None of these garages are used to house their cars consequently it looks like a car park, the outside garage is used for their refuse collections. I feel very strongly that more consideration should be taken to ensure that the shopping facilities and parking availability should be taken into more account when planning permission for a development of this size is requested. The council won’t worry as they can just sell more overpriced parking permits which, of course, never guarantee you a parking space on the street. The other sadness is that yet another useful and long-standing community service will disappear. I am dismayed to see the proposals to replace the useful Chatham Road garage with yet more residential units, and agree with all the previous comments. I don’t have a car, but have used the garage for other metal repair work, and was planning to do so again in future! It is amazing that the landlord apparently did not let the garage tenant know of his proposals – the arrogance defies belief! Any new units MUST have their own parking (I was very annoyed at the Council passing the development at the bottom of Bramfield Road without insisting on this – the basements were dug out for storage, but could have housed underground parking spaces). I agree also with the comment about the size of rooms in the proposed new units. I have read that here in the UK we have the smallest permitted rooms sizes in the E.U., and I have certainly seen very tiny sitting rooms in some new flats in the area. Surveys have shown that it is very stressful living in cramped quarters, and produces aggression (even too many animals in a cage begin to fight each other!). Our UK building regulations should be amended to give a larger minimum size. In this respect, I was sorry to see that the Estate Agents (Thoroughgood) at the corner of Bramfield and 140 Northcote are persisting with their plans to build a 2-storey property on their tiny car park (Planning Application no. 2009/1729). Seeing the ground area involved, this would also mean extremely tiny rooms. I spoke to Austin Thoroughgood about this, and he replied that “no-one has to come and live in them”!!! – hardly an adequate response in my opinion! I pointed out that if such properties are all that are available or affordable in this area, people have little option. I still think it is quite unacceptable to build something so cramped that you would not be willing to live in it yourself. Also, of course, the position of the new building would cut out sunlight from the gardens and first floor roof terraces along that section of Northcote road, but there again I met with a “couldn’t care less” type of response (and a complaint about the bad press which Estate Agents always seemed to get – which I found somewhat ironic in the circumstances!!!). How very sad that the sight of money blinds people to all other moral considerations…..